April 8, 2014 - Make sure you like EcoJoes on Facebook to stay updated on green ways to save money and help the environment. Just click the "like" button below. Muchas gracias! 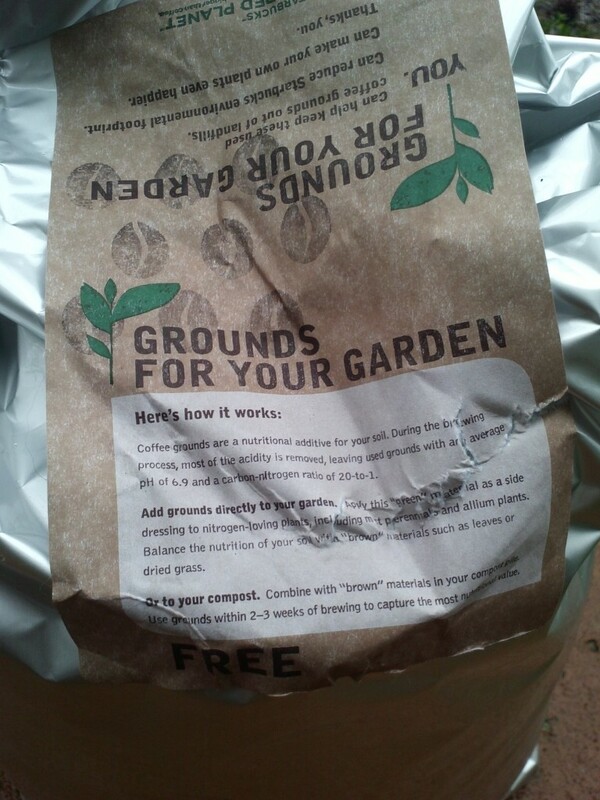 Posted in free, gardening, green business, plants, save money	on Tuesday, April 8th, 2014 at 7:40 PM. Dang, I would grow stuff here in China if the ground didn't have AIDS. You should plant some bootleg DVDs and plastic bags of soup, you never know what might pop out! Hopefully not a female infant. When I first met my wife she did this a couple of times for her compost. I thought it was a good idea and why not. I haven't checked but does anyone know if Starbucks is still doing this or even went to the next level and started reusing their bags?